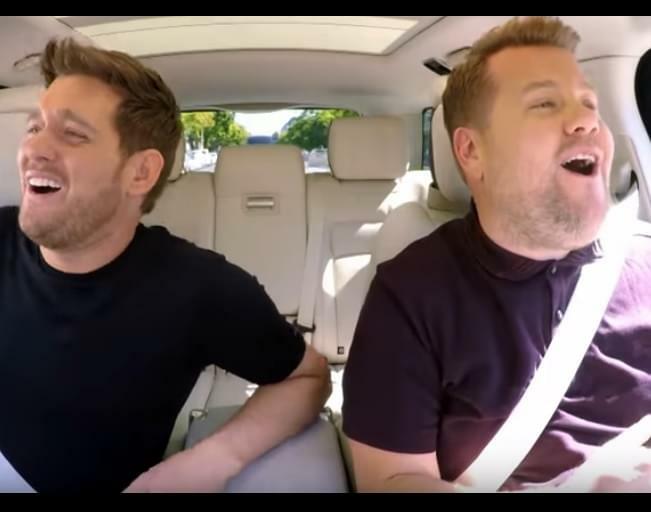 James Corden and Michael Bublé recently carpooled through Los Angeles, singing some of Michael’s new music and a few of his classic songs. During this special episode of Carpool Karaoke, created for the STAND UP TO CANCER special, Micheal and James have a emotional conversation about the devastation of a cancer diagnosis, and how you can help find a cure. Buble is married to Argentine TV actress Luisana Lopilato, and have three children together: sons Noah and Elias, 2, and daughter Vida. He said his entire extended family relocated to Los Angeles to be closer to Noah while he underwent treatment. His new album arrives November 16th.